This week’s list of items needed in Calais by our amazing volunteers, updated Monday 2nd May 2016. If you wish to donate goods, please email Isabel on calaisdonations@gmail.com at least one week before you plan to set off. This will help Isabel and our other warehouse volunteers to organise the warehouse and plan for the distribution of goods. Email Isabel to find out more about donation dates. Thank you for your time and support. We are currently oversupplied with children’s clothes and toys, however are experiencing a shortfall of teenage boys (13-17 years old – see below). If you are able to donate those, that would be wonderful! Trainers (ideally black) – 40, 41, 42, 43. Please only bring items from this list. We cannot currently accept any other items. 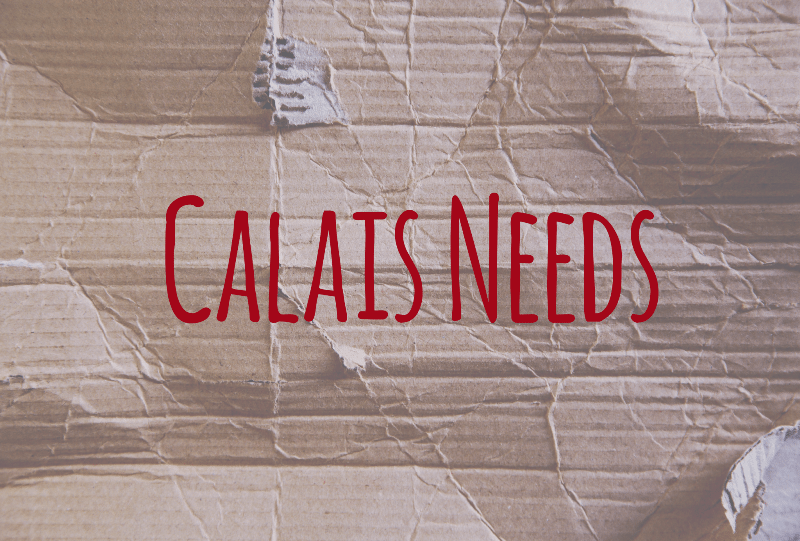 Our Calais warehouse is now supporting both the Calais and Dunkerque camps; receiving, sorting and delivering all aid required in the two camps every day. More than ever we need large volumes of very specific items. Help us to service the needs of the people in the camps to the best of our ability by studying the information on this page carefully before you plan your trip. We rely on a large volunteer workforce to supply the camps with the items they desperately need and we are currently very low on volunteers. We simply do not have the people power to sort through the items we don’t require, which are taking up an inordinate amount of space in our busy warehouse.